When it comes to productivity, it would seem less is more. Apply this minimalist approach to Firefox and see how it turns out. Today, I’ll share one more approach for working better inside a browser. It’s my personal strategy for turning Firefox into a productive workspace without overloading it with add-ons. Visual clutter is distracting, so begin by cleaning up the primary toolbar. Click on the Open Menu icon at the extreme right on the toolbar. This opens the Additional Tools and Features section. One by one, drag and drop any icon that you don’t use (or use rarely) to this section, and rearrange the remaining icons. Functions like cut-copy-paste, zoom, full screen, find, etc. have easy keyboard shortcuts. Use those instead of their icon counterparts from the main menu. Thanks to the awesome Awesome Bar, you can afford to remove the search bar as well. Firefox 29 onward, the menu bar stays hidden by default. Let it stay that way. Most of its functionality is available via the customizable, icon-based main menu interface anyway. If you do need to access the menu bar, use Alt to toggle it. If you have created any other toolbars, hide them or delete them. Get some more browser real estate by hiding the title bar the way Chrome does. This tweak, once a default feature in Firefox, requires an add-on. Hide Caption Titlebar Plus does the job and gives you plenty of options to fiddle with. Here’s what my Firefox setup looked like by default. For several years I was a bookmark addict. I used to spent insane amounts of time saving Web pages, and then sorting, rearranging, and syncing them. Ironically, whenever I needed some piece of information, I just googled it afresh. That seemed easier and faster than sifting through an overflowing Bookmarks folder. Eliminating that bookmarking habit has boosted my productivity like nothing else. Now the only time I bookmark stuff is when I’m researching for an article that I’m writing in the current week. Even then I delete those pages as soon as I have wrapped up my article. This approach may not work for you. 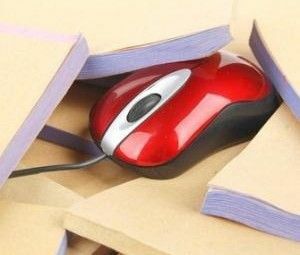 If it doesn’t, you can always find ways to manage your bookmarks better 3 Simple And Elegant Tricks To Stop Drowning In Your Own Bookmarks 3 Simple And Elegant Tricks To Stop Drowning In Your Own Bookmarks If you need rescuing from the clutches of your bookmarks, this article is for you. Manage your bookmarks with these simple logical tips, and bring some method to the madness of bookmark hoarding. Read More . When you open your browser, having a set of work-related tabs staring back at you can help you avoid time-wasting websites like Facebook and Twitter. Let’s pretend that’s true, okay? In any case having your work tabs set up for easy access is a time-saver. Use an extension like Tree Style Tab or Tab Mix Plus [No Longer Available] to manage tabs better and keep the important ones lined up and ready to go. If, like me, you don’t keep too many tabs open, skip the extensions. Instead, pin important tabs to Firefox and arrange them beforehand. Ensure that you have set Firefox to show your windows and tabs from the previous session when you restart the browser. You’ll find this setting under Preferences > General. 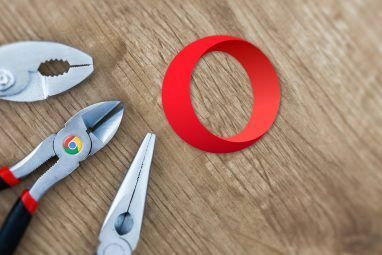 We recommend cleaning your browser’s cache and deleting its history to speed up your browser What Can You Do To Speed Up Your Browser? What Can You Do To Speed Up Your Browser? If you’re like me and you spend a huge portion of your day browsing the web then you understand how frustrating it is to have a slow, bloated browser that seems to be on its... Read More . The downside is that you to have to go through the login process for various websites again. You can delete history selectively, but that’s tedious. You can set Firefox to never remember history, clear history when it closes, or to always use Private Browsing mode. But each of these settings comes with its own drawbacks. Here’s what I do to keep the browser junk from accumulating too fast. I use regular tabs only for opening websites that I use everyday. Some of those websites are WordPress, Litewrite, PicMonkey, and Gmail. For everything else, I use private tabs. That includes temporary tasks like Web searches, news reading, and logging in to sites that I don’t use often. This simple trick has increased the gap between my history cleaning sessions. Install the Private Tab add-on [No Longer Available] to switch to private browsing in a new tab instead of a new window as is default. Chrome has an extension with a similar functionality, but that one’s not as intuitive or effective. There’s a lot more you can do to make your Firefox workflow more efficient. I have set up custom search engines, enabled only the most important extensions, and simplified logins with a PasswordBox account. 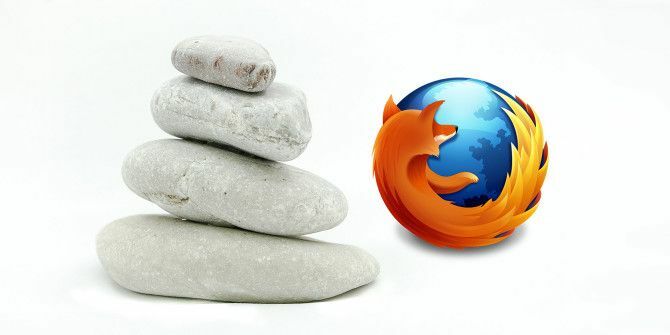 Maybe you could supercharge the Awesome Bar 6 Customization Tricks Only Possible In Firefox 6 Customization Tricks Only Possible In Firefox Firefox is a great browsers for many reasons, but one of the most important reasons is how it can be customized. 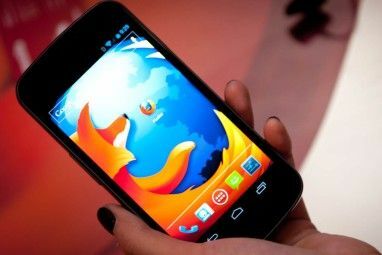 Here are a few important tricks that prove you should be using Firefox. Read More , reduce tab overload The Minimalistic Approach To Firefox Tab Overload The Minimalistic Approach To Firefox Tab Overload Read More , and stop auto-playing videos How To Stop Auto-playing Flash And HTML5 Videos In Firefox How To Stop Auto-playing Flash And HTML5 Videos In Firefox Does auto-play video drive you mad? We'll talk you through the best ways to stop auto-playing videos in your Firefox browser. Read More . What you see above is what’s working for me. Mix these tips and tricks with some others to find a combo that works for you! What has been your personal Firefox productivity strategy so far? How well is it working out? Tell us in the comments. We’re listening. I see in some of the screenshots posted in the article, there's a greenish icon and the word "on" near it. What is that? That's the extension for my password manager, PasswordBox. Thanks, I was just curious, I use LastPass instead for my password manager. Love this idea! Simplifying everything and stripping the browser down to the basics feels like a "fresh start" and can really help you regain focus. Sadly, I can't stop using addons; I'm always trying out new ones, and now I have around 30 installed, though I only use ten. My productivity strategy relies on them, and it's actually similar to yours - I've decided to stop accumulating bookmarks. I use the Scrapbook addon for temporary bookmarks and things I need for my research, which I delete once I don't need them anymore. Addons like Morning Coffee are great for grouping websites that you visit regularly and for scheduling them to load automatically. I also find add-ons hard to resist, Ivana :) But I hate restarting the browser to enable/disable them. Thanks for pointing out Morning Coffee. I hadn't heard of that one.